The advent of Oculus VR & Samsung Galaxy gear has further boosted the VR craze started by Google Cardboard and other VR devices. The popular 3D formats used for watching videos with 3D effect on those devices are either SBS (Side By Side 3D) or 360-Degrees. However, the popular media players for Android like MXPlayer or VLC does not support above listed VR media formats. Fortuantely, there are still some free VR Media Players for Android phones that supports not only 360 or SBS video but even enables you to watch common 2D video on your VR glasses by using these VR Players. 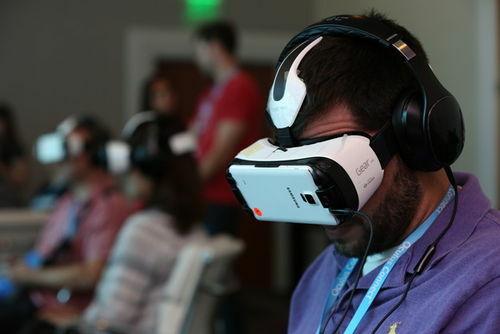 When it comes to Virtual Reality its best viewed when it becomes more realistic as possible. VR Gesture Player is one such VR Media player which makes watching videos a great experience. Besides smoothly playing 3D Videos & 360 Videos, it can even play 2D video in Side by Side in your VR Glasses. VR Player Free is a free an easy to use VR Player which can play various VR Video formats. You can use it to Play 2D , 3D SBS , 3D Top/Bottom Videos on your Android phone. Besides being able to play 2D SBS Videos, it can even play 360 degree videos. AA VR Cinema is another free alternative VR Cinema player for Android and gives a variety of playback options to play normal as well as 360 3D VR Videos. The host of features it provides to watch VR videos on your Android like 180-degree panorama, 360-degree playback which not many apps provide. VR TV Player free is a similar app to VR Player free but the UI is a bit modest, but the clean and minimalist UI works wonders when it comes to Smoothness in Playback. As well as it supports 2 D Video playback alongwith the 3D VBS, and 360 formats. Homido Video Player comes from an VR Headset maker itself and consists of various multiple features. Not only it can play VR , 2D Videos alongside 360 Side By Side formats, but it even tries to project normal 2D Videos as 360 videos if the option is selected. The result widely depends upon the video type, but we managed to get a real decent 360 degree experience on lesser-resolution 2D Videos. Do not have enough SBS 3D movies resources for viewing on Free Android VR Viewer, never mind, with most beneficial 3D Movie Converter – Pavtube Video Converter Ultimate for Windows/Mac, you can easily create 3D SBS video with the format of MP4/MKV/MOV/AVI/WMV for playing with above listed Free Android VR apps on various VR Headsets including HTC Vive, ANT VR, Gear VR, Oculus Rift, Oculus Rift VC1, Google Cardboard, Zeiss VR One, , etc. 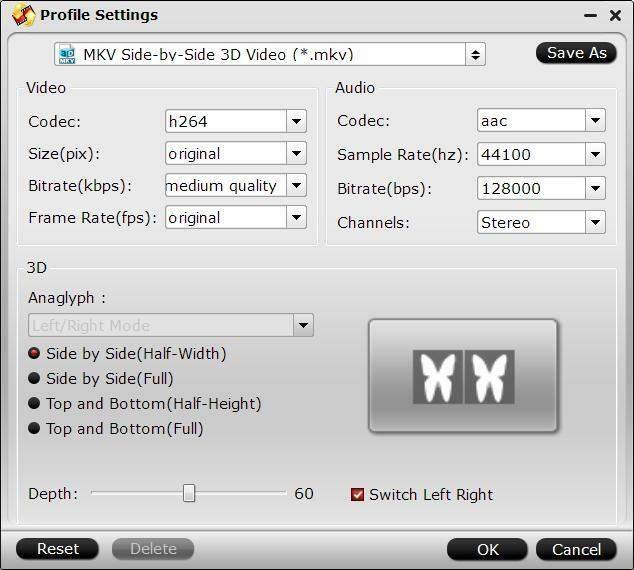 To get better 3D visual effect, you can adjust 3D video depth or change the image display order for SBS 3D movie by checking the “Switch Left Right“option in the program”s built-in 3D profile settings. How to Create 3D SBS Video for Free Android VR App Viewing? Step 1: Load 3D video or 3D Blu-ray movies into the program. Launch this 3D Movie Creator on your computer, click “File” > “Load from Disc” to import your 3D Blu-ray disc, 3D Blu-ray ISO or 3D Blu-ray folder. For 3D video file, click the “Add video” button, browse to computer hard drive and import 3D video into this app. Tips: You can also load common 2D Blu-ray or DVD disc or video into the program, however, 3D SBS video created from original 3D media or 3D Blu-ray disc has better 3d effect than made from common 2D Blu-ray/DVD disc or video formats. Step 2: Output 3D SBS file format. Tap on “Format” bar and find “3D Video”, there are a lot of format options for you. Here, we choose “MP4 Side-by-Side 3D Video (*.mp4)” to output for viewing with Android VR video players. Step 3: Change left/image image in 3D SBS movie. Click “Settings”on the main interface to open “Profile Settings” window, in the right-bottom, check “Switch Left Right”option to change from Left/Right to Right/Left or Right/Left to Left/Right. After all setting is completed, hit right-bottom “Convert” button to begin to convert 3D video/Blu-ray or common 2D Blu-ray/DVD/video to Android VR apps viewable 3D SBS format conversion process. How to Rip Blu-ray to MKV with MakeMKV?